If you are thinking of filing a VA disability claim or you have filed a disability claim that has been denied you have come to the right place. If you are just getting started you need to arm yourself with information and guidance from an experienced team. Call us at 704 399 8890 for our Charlotte, NC office or 404 373-3116 for our Decatur, GA office for a free consultation. Why? Because we can explain to you what your first steps should be. With the right information you can shorten the time and effort you will put in to filing your claim. The consultation is free. 71% of VA disability claims are denied by Veterans Affairs Regional Offices just due to errors in processing. That means you have only a 30% chance of getting your claim reviewed! With the help of a VSO your chances increase to a little over 50%. With professional guidance your chances improve to 85%. Make the call, get your best chance! Call us, tell us your story, and find out how we can help you! If you have gone through the long tedious process of documenting, filing and waiting months or years just to receive a letter of denial DON’T GET MAD! 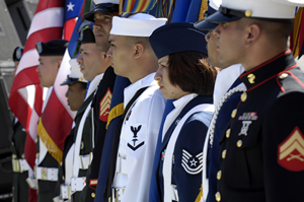 The first thing you will need is VA certified Veterans Disability Lawyer, like the lawyers at Martin, Jones & Piemonte. Because, if you thought it was difficult filing your initial claim, the appeal process can be much harder, take even longer and really wear you down with documents and filings and one mistake can lead to your claim being denied! Call us at 704 399 8890 for our Charlotte, NC office or 404 373-3116 for our Decatur, GA office; the consultation is free. You also have limited time at each step. You will be rushing to get papers filed only wait weeks and months for a response. Make sure you are working with a team like the VA certified Veterans Disability Lawyers at Martin, Jones & Piemonte. They are compassionate, patient people and most importantly they are meticulous and highly skilled and experienced in getting positive results and decreasing waiting times for their disability clients. They have a handled some of the most difficult cases and broken new ground gaining high praise from the Board of Veterans Appeals Law Judges. We realize it hard to tell, what it is like to work with us or who we are and what we can do for you from a bunch of credentials, so we have included reviews from past clients on our home page. Read them! Both those that were left on our website and those that were left on other review websites. You will see many people in similar situations that Martin, Jones & Piemonte has obtained positive results for when others have failed reduced waiting times for applicants whose claims had stalled, maximized ratings for the underrated and minimized waiting times, through skill and experience. So give us a call or fill out the consultation request form for a no cost,no obligation consultation on your case. Do it now or as soon as you can! Remember the clock is running on your claim and/or your appeal! Remember the consultation is free and there are no legal fees for your appeal unless we win.